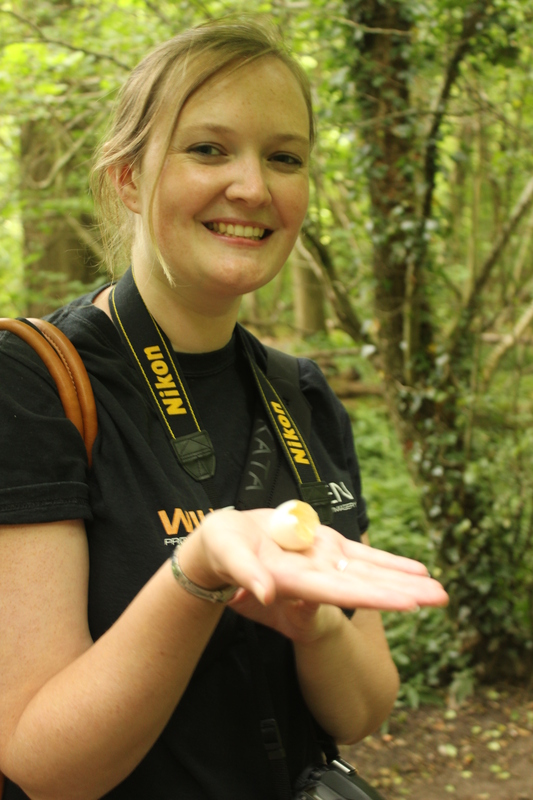 There is no better way to spend a summer afternoon than by taking a stroll through a beautiful woodland, especially when you are accompanied by a dedicated naturalist who can point out the incredible diversity of species along the way! Small mammal footprints, bird’s eggs, squirrels and caterpillars were all very spotted quickly by this afternoon’s dedicated bunch of young wildlife detectives. 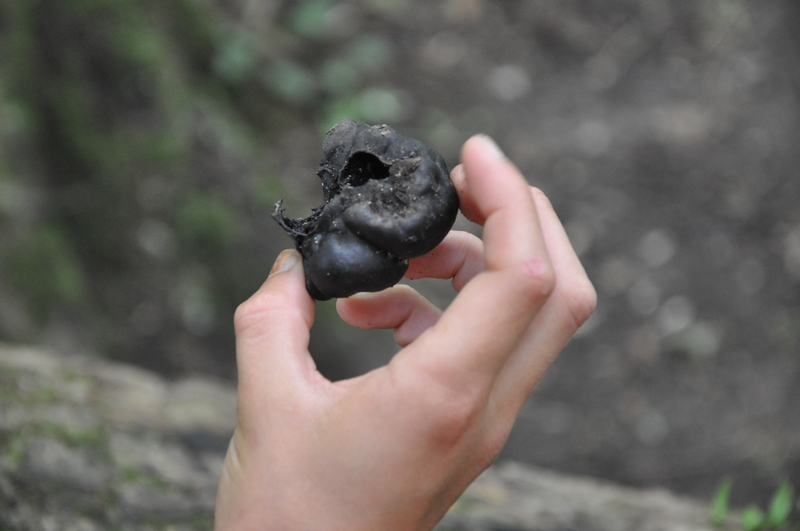 While examining a fallen tree, naturalist Gill showed the students a distinctive ball-shaped fungus known as King Alfred’s cakes, named because it resembles burnt cakes (burnt, as legend has it, by King Alfred himself). 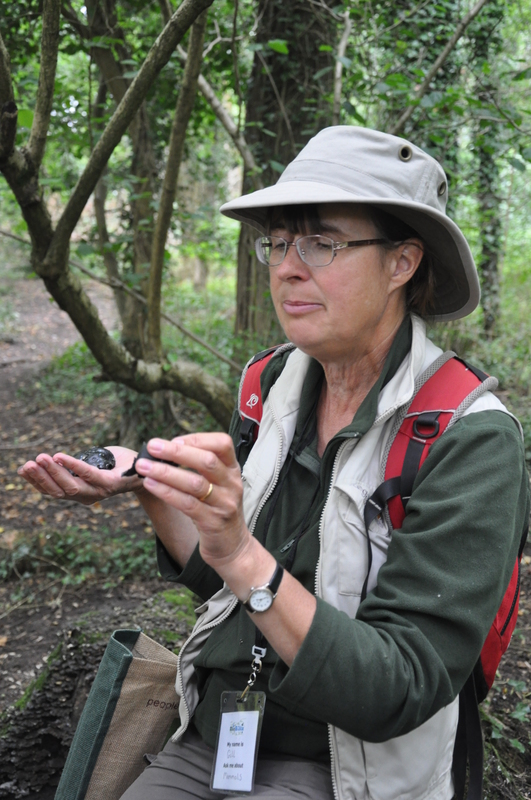 Gill explained that this species is also known as ‘cramp balls’ as it was once believed that this fungus protected against cramp and men used to carry them around in their pockets for this reason! 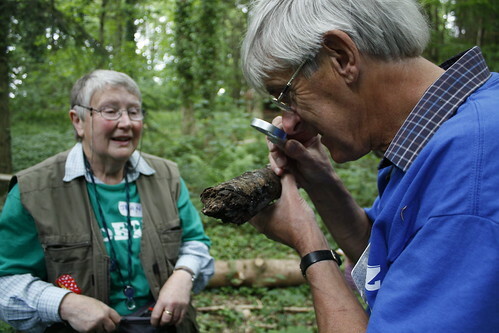 Gill then went on to explain the important role that dead wood plays in a forest ecosystem, providing food for many of the invertebrate inhabitants. These invertebrates in turn make a tasty snack for a badger! 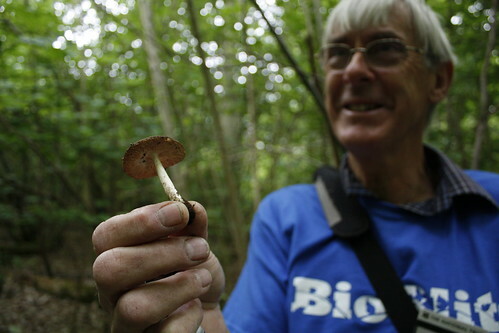 Lauren and I have just returned from a fungal forage in the forest with John Bailey and his team of intrepid fungi experts. It’s not been the best weather for fungi recently due to poor rainfall, but we remained optimistic of some good finds. 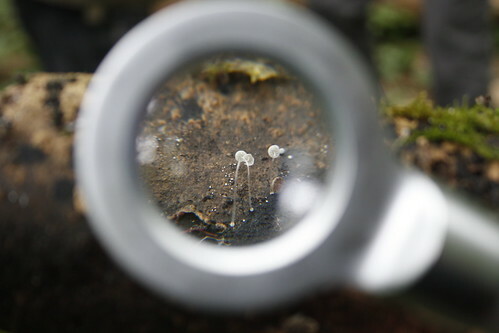 The first notable find of the day was a tiny fungus called Mycena stylobates. Although not rare, this was an excellent discovery considering our less than favourable conditions. 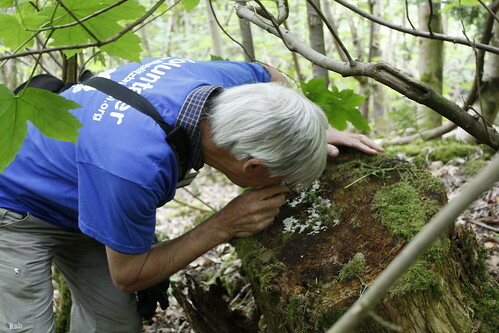 John’s enthusasim for all things fungal was clearly evident along the way, and that’s no surprise condiering the important role that these organisms play in the forest. Being saprophytic, fungi break down dead organic matter. Their almost invisible mycelium spread across the forest floor – so even when you can’t see fungus, they are everywhere. Our next find was a beautiful slime mold called Ceratiomyxa fruticulosa. Although not a fungus, these single-celled protists were once classified as such. Fungi thsemselves can be divided into three broad groups. Those that rot logs, pathogens which attack plants and soil fungi which infect plant roots. It wasn’t long before we came across our best find – a toadstool named Pluteus cervinus, otherwise called deer shield. Best identified by its pink spores, this species grows on wood. A small class has just returned to HQ with a collection of fungi. Waiting nearby, the media team managed to snap a few shots of the impressive collection. 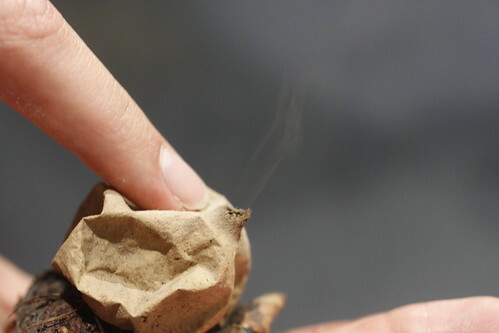 Take a look at this puffball, which releases a cloud of spores when touched. 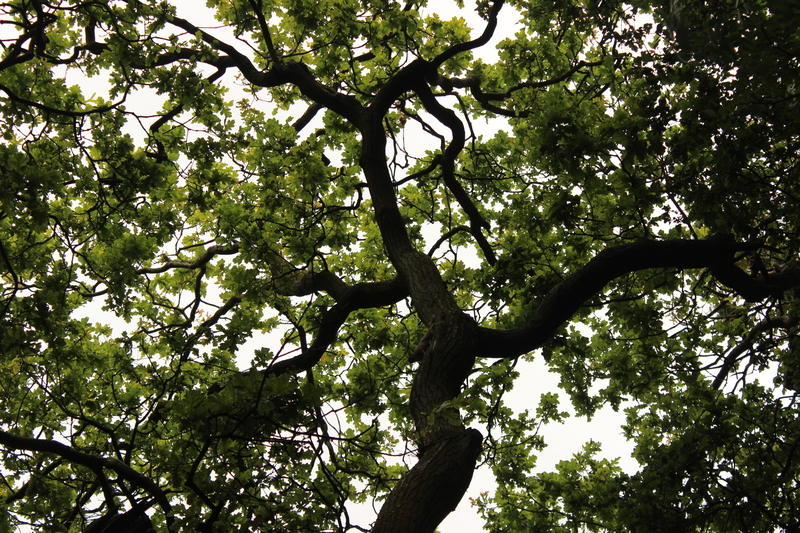 Look closely and you can see the spores! 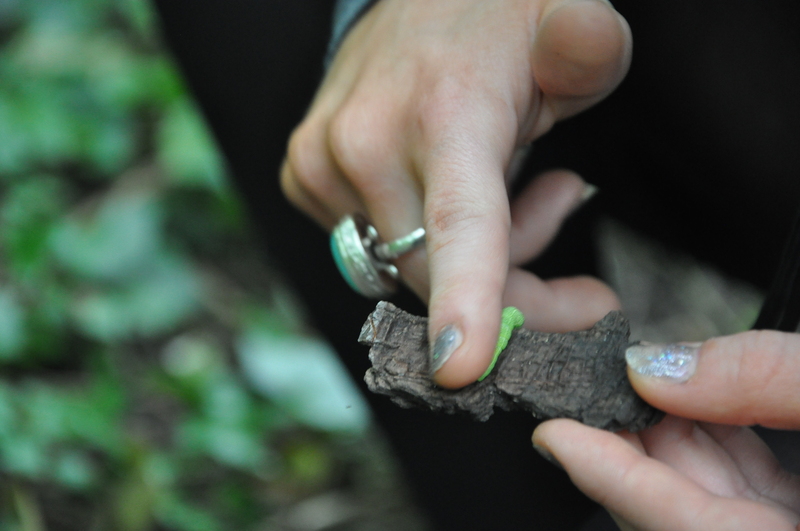 This video shows some of the smaller species found throughout the BioBlitz in a big way!